The dresses, the flowers, the speeches, the cakes! A Wedding! Who doesn't love a wedding? 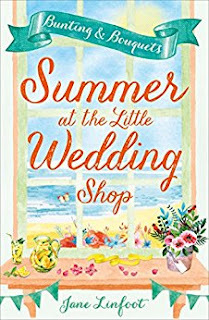 Certainly not me anyway, I love weddings and with two coming up for me in the next five months and looking at inspiration for my own I decided to feature some wedding based books perfect for summer season reads! All the above books are currently under £3 on Kindle! Click on the covers for more info. (Don't forget to Pre-Order the latest one releasing October 2017! What do you think of the books above? Have you read any? Will you pre-ordering the ones yet to be released? Do you like weddings? Let me know in the comments below.